What happens in Vegas, stays in Vegas? No way! 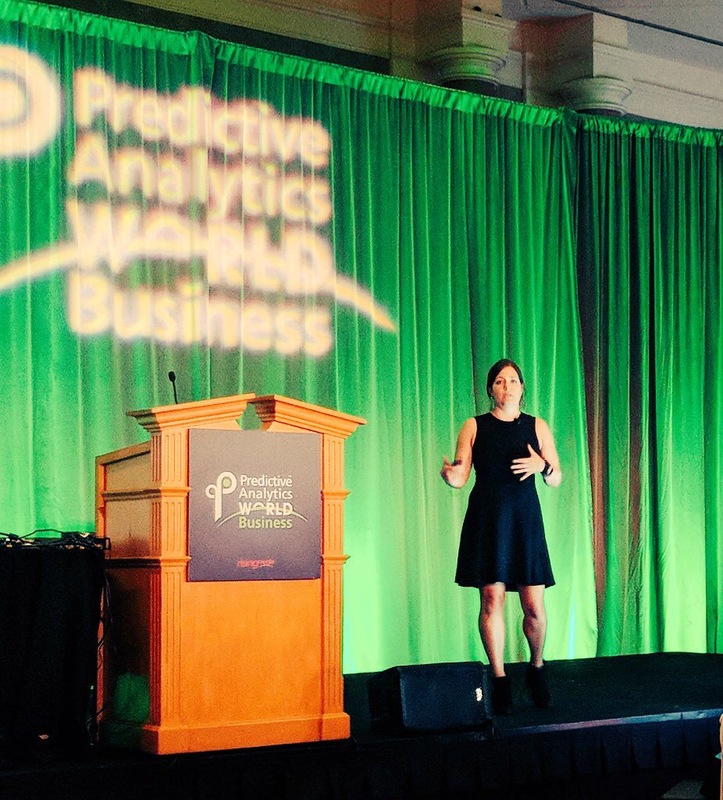 While I may not have come home with the casino jackpot, I did learn a lot at the Predictive Analytics World conference a few weeks ago. Billed as “The Premier Machine Learning Conference,” it certainly did not disappoint. While the majority of my fellow attendees weren’t yet applying Deep Learning methodologies in their analytics projects, nearly all of them seemed excited about the topic and wanting to learn more. For the first time, Predictive Analytics World even featured a session track dedicated to this extension of traditional Machine Learning. The keynote speaker, Mike Tamir, Head of Data Science at Uber, delved into how the evolution of neural networks is leading to advances in everything from self-driving cars to fake news detection. I was intrigued by several of the breakout sessions where data scientists shared how they were using Deep Learning to solve unique problems with image and sensor processing. Much ink has been dedicated to stories about how companies like Amazon, Netflix, and Stitchfix use machine learning to improve the consumer experience. As someone who lives primarily in the B2B world, it was refreshing to hear stories of non-consumer implementations of machine learning at the conference. Applications in the healthcare space were wide-ranging from detecting autism in young children to optimizing operating room scheduling. Manufacturing was also represented well. The prevalence of sensors has made collecting large data sets much easier, allowing for advanced insights such as predictive modeling of machine maintenance. I also spoke on this topic, sharing how Centric uses machine learning to optimize the staffing of our consultants. Many of the companies in attendance are using a Hub and Spoke model to disseminate analytics within their organization. They rely on a central team (the “Hub”) of Data Scientists, Machine Learning experts, and others to build the foundation and set strategic direction. Report Developers, Business Analysts and other subject matter experts (the “Spokes”) do not live within the central analytics team. Rather, they are aligned with business’ different operating group, keeping them closer to the data they know best. They leverage the central team as needed, but are empowered to ingest and interpret data as best fits their operating group. Proponents of this model advocate that it allows decisions to be decentralized and thus made quicker while still leveraging economies of scale. If I had to sum up my Predictive Analytics World experience in one word, I would use “hopeful.” While the field of Predictive Analytics is still evolving, businesses are really beginning to see its potential and leverage the technology in new and interesting ways. I am excited to see what problems we will be able to solve in the coming years with Machine Learning.